Geoffrey F. Forcino leads the 401(k) and Retirement Plan division at Kathmere Capital Management. Geoff began his career in the Financial Services Industry upon graduating from James Madison University. Most recently Geoff was Partner at The Philadelphia Group where he spent the last 12 years. 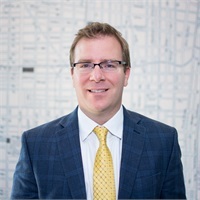 Geoff and his team provide fiduciary investment services to corporate retirement plans, including 401(k), 403(b), and defined benefit plans. He is dedicated to enabling companies to run their retirement programs with minimal effort, while addressing fiduciary responsibilities, and empowering employees to create a retirement they can enjoy. Geoff also uses the similar fiduciary skills to work with individual advisory clients on all aspects of their personal planning. Geoff is committed to advancing his knowledge and expertise through industry education. He currently holds the Accredited Investment Fiduciary (AIF) Designation from the Center for Fiduciary Studies. In 2015 & 2016, Geoff was nominated as one of the National Association of Plan Advisors’ (NAPA) Top Advisors 50 Under the Age of 40. Geoff and his wife, Lindsay reside in Malvern, PA with their two daughters.